“Come Sunday” tells the story of Roberts and a protégé named Carlton Pearson, played by Chiwetel Ejiofor, most recently seen in “Dr. Strange” and known to a lot of fans as The Operative in “Serenity,” the big-screen adaptation of the cult science fiction favorite “Firefly.” Pearson is a minister in Tulsa. Oklahoma who comes to the conclusion that Hell does not exist as most people conceive of it. His notion is that Hell is created on Earth as a result of sin and human depravity and that all souls can be reconciled with God eventually. The doctrine did not sit well with his congregation, which at one time numbered 5,000 worshipers. Pearson lost much of his flock and was eventually declared a heretic, a remarkable feat in the 21st century. Pearson attended Oral Roberts University and was mentored by Roberts, a minister of the old school of fundamentalist Christianity. That Roberts was colorful and controversial would be an understatement. He preached a version of Christianity called the “prosperity gospel,” which states that if one is a good Christian, has faith, and does good works, then financial success and health will be his or her reward. The idea is a subject of much argument among many fundamentalist Christians, who believe that one’s ultimate reward is in the afterlife. Joel Osteen is the current most prominent preacher of this particular doctrine. Roberts was also controversial because of some of his fund-raising tactics. In 1977 Roberts claimed that a 900 foot-tall Jesus Christ had appeared before him and had told him to build a “City of Faith Medical Research Center.” In January 1987 he announced that unless he raised $8 million by March of that year God would “call him home.” God declined to do so, even though he was a little short two months later. Roberts was a pioneering televangelist, being among the first to reach a mass audience via televised sermons. His Oral Roberts University is a well-respected Christian-based liberal arts school. It has turned out a number of graduates who went on to be accepted to medical and dental schools at a high rate. It naturally has a seminary. Ironically, the science department does not teach creationism. 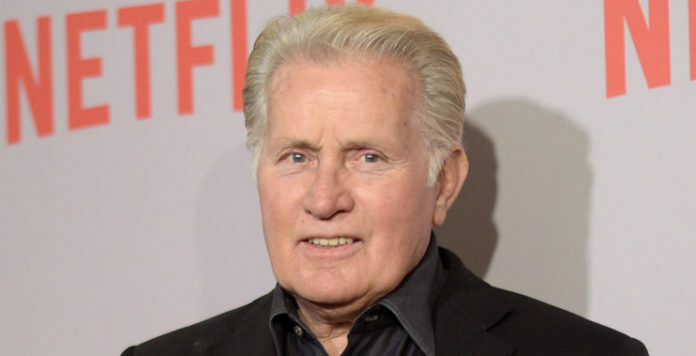 In short, Martin Sheen has a charismatic (in several senses of the word) American original to bring to the small screen. “Come Sunday” is currently in production with a release date for later in 2017.